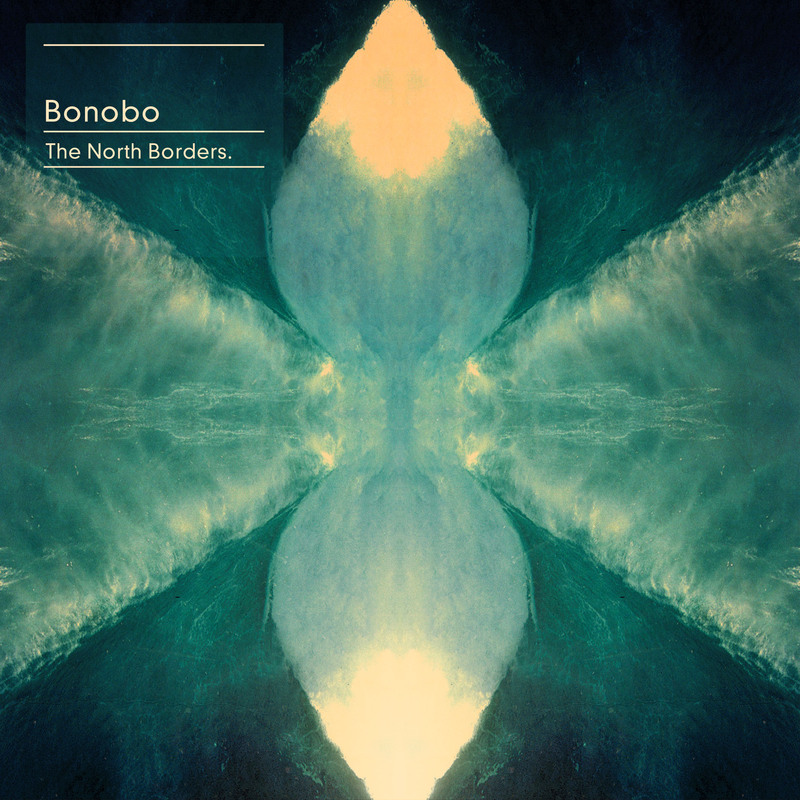 A sense of nostalgia hits you when you first listen to Bonobo’s fifth studio album The North Borders. One can almost hear the faint strains of ‘Terrapin’ waft through the speakers. A song that 15 years ago made Bonobo one of the biggest names in down-tempo Electronica during the late 90’s early 2000s. Bonobo made his mark creating ambient soundscapes and telling stories with his compositions. Easing emotion out of machines, pairing them with acoustic instrumentation allowed for a distinct sound. All this worked up towards his 2010 release Black Sands, an album so complex and beautiful that it gives way for something new with every listen. Unfortunately, with The North Borders however he seems to have stumbled a little. The scales have tipped and the subtle emotions and complex construction have overpowered and drowned out the essence of it all. While one did expect something a little different after the initial pre album release of ‘Heaven for the Sinner’, in collaboration with Erykah Badu, the album hasn’t strayed far from Black Sands. Most of the tracks are densely layered emotional affairs moving into themselves. The instruments aren’t given enough breathing space, although when it does happen the tracks sound truly alive and clear. On the first track ‘First Fires’ the strings towards the end work as an anchor, bringing it into some sort of context. ‘Emkay’ is one of the most nostalgic of tracks on the album, it brings out the signature ambient vibe we all know and love. ‘Cirrus’ is a breath of fresh air: while it is light and beautiful, it feels like a place of refuge in the nu-jazz vibe, which he has perfected. ‘Sapphire’ is the only track that is truly allowed to take its time, giving each instrument space in which to establish its sound. Then again ‘Ten Tigers’ gives us a little taste of the beautiful swell of strings towards the end, giving the song a new life as the track comes to a close. “I also recorded, you know, dropping coins into water, or in the subway, recording train doors opening. It all eventually ends up in the music somewhere.” Green says. While its great to see that he has been working with found sound, they seem to be lost in the dense layering. ‘Jets’ almost feels like a clumsy attempt to keep it together. Even his track ‘Heaven For the Sinner’ with Erykah Badu (a match made in heaven, one would have thought) seems a little muffled and disjointed. It is a foray into a new kind of sound, which gives it a little bit of an edge. His new work with Szjerdene does show promise, though the vocals slip in an out of pitch. Being a true and devoted Bonobo fan I can’t help but be a little disappointed with the album. It felt safe and not quite fully formed. All said and done it is beautifully compiled and makes for easy listening allowing you to slip in and out of reality like with his previous work. The underlying sense of mild frustration that he could do better will wane I hope.